Detroit and boxing have a long history together. Though they were born elsewhere, Thomas Hearns, Sugar Ray Robinson, and Joe Louis moved to Detroit. Joe Louis, who many say is the best boxer who ever lived, will forever be associated with Detroit thanks to the eponymous arena and downtown sculpture (“The Fist”) in his honor. While Louis’ family came to Detroit during the Great Migration to escape race-based violence, many other fighters came to the city to train at the Kronk Gym with legendary trainer Emanuel Steward. 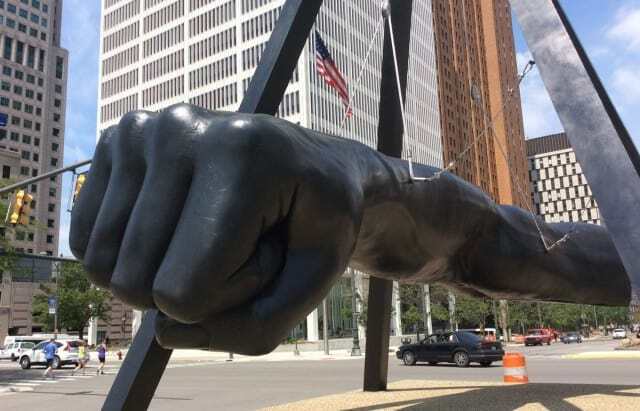 “The Fist”, a sculptural tribute to Joe Louis, in downtown Detroit. Photo courtesy of Daily Detroit. While mixed martial arts has overtaken boxing in terms of popularity, boxing continues to be an influence, especially among many of Detroit’s youth. Detroit’s Downtown Boxing Gym Youth Program and its founder Coach Khali Sweeny are largely responsible for the important role boxing plays for a growing number of Detroit’s youth. Sweeny says, “Boxing is the ‘hook’ to get and keep kids in the program. Teaching them to be productive members of society is our passion.” This is why #BooksBeforeBoxing is used frequently in the organization’s social media presence. 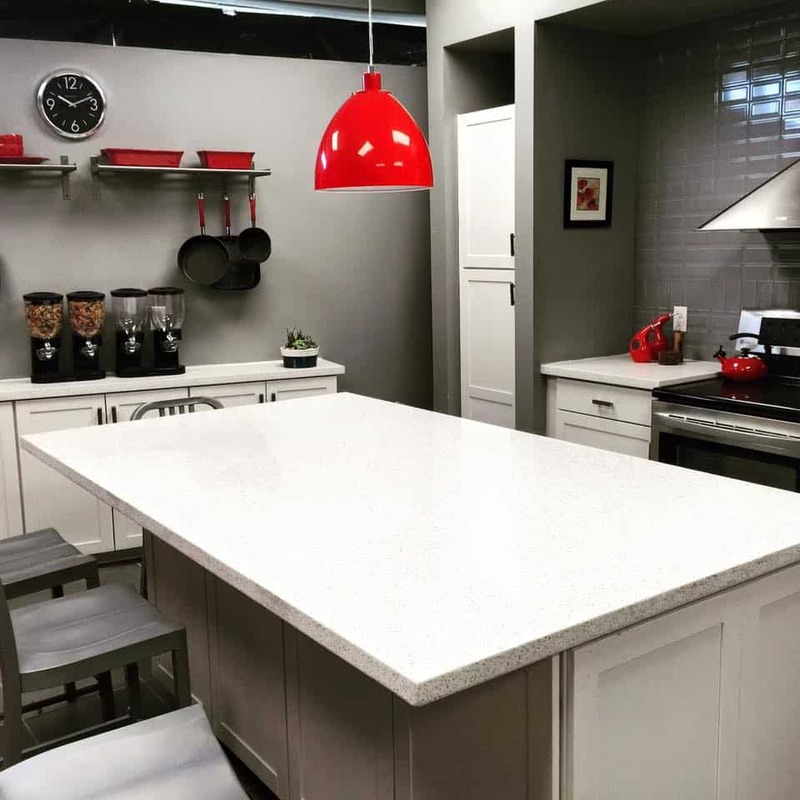 Recently, the organization received prominent media attention after visits from both Rachael Ray and Evander Holyfield. A segment of The Rachael Ray Show was filmed during her visit, which will air during her November 25 Thanksgiving Special. During her visit, Ray presented the gym with a newly completed study area and kitchen. 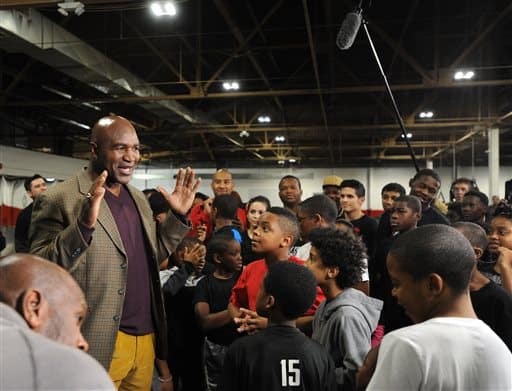 Former heavyweight boxing champion Evander Holyfield speaks with youth at the Downtown Boxing Gym (Photo by Brandy Baker/Detroit News via AP). The Downtown Boxing Gym is growing. Its wait list is reported to consist of the names of over 500 youth. While it has received considerable support and press, it can’t accommodate additional youth without a supportive community. To learn more about how to become involved with the gym, consider attending an event or filling out their volunteer form. When you were a youth, what organizations, activities, or people made an impact on you? Tagged Boxing, Detroit, Downtown Boxing Gym, Evander Holyfield, Holyfield, Joe Louis, Rachel Ray.